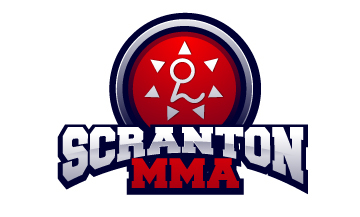 Every Gracie Jiu Jitsu practitioner has had an injury of some kind during their career at Scranton MMA. Of those practitioners, some end up quitting, either because they reincur the same injury, or they get new ones. The practitioner begins to worry more about injured and focus less on just how fun training can be. So its important to remember that you must protect yourself at all times during training at Scranton MMA so that you can enjoy a long healthy life training Gracie Jiu Jitsu. Ideally it is best for you and your partner to be concerned about each other’s safety but ultimately it’s up to you to protect yourself during training. This means don’t let your pride get in the way! If during training you find yourself in a position where you feel in danger of injury simply stop and restart. If you find yourself trapped in a submission without hope of escape simply and begin training anew. If you are too proud you may wind up sidelined due to injury and miss out on valuable training, work hours, and family time! Ask yourself “Am I training wrong?” You are if during training you feel exhausted, sick, or suffer an injury. At times the desire to train is so overwhelming that you will ignore the signs your body is giving you that it is fatigued and you will continue to train. You will push through the weariness and train and soon you are not only physically fatigued but also mentally fatigued. At this point you are now a prime candidate for injury. Remember that rest is an important part of training Gracie Jiu Jitsu! No matter how well you try to protect yourself an injury will eventually occur, they are an unavoidable part of you journey through Gracie Jiu Jitsu. When injured a student will anxiously return to the mat prematurely and suffer another injury or re-injure the same area. So if you can’t be on the mats what should you do in the meantime while your body heals? Watching videos, studying books, and visualizing training are all proven ways to keep your mind and body in the game. The most important thing you can do is continue attending the academy and observing class. Depending on the injury you may even be able to work technique with a trusted partner! Your greatest weapon in the fight against injury is your brain! Be smart!